This should become a park. 4.) The powers that be have 0 understanding of the concept of throwing good money after bad, and since there is already $200m in the ground for foundations/steel/whatever, it will be finished with money taken from somewhere else. Latest iteration expected to be submitted at next board meeting of Lower Manhattan Development Corp. The performing-arts center planned for the World Trade Center complex is shifting shape yet again, as its leaders work to deliver a slimmed-down project that can be built for roughly half the cost. The newest iteration is expected to be presented later this fall, at the next board meeting of the Lower Manhattan Development Corp., the entity created after the Sept. 11, 2001, attacks to oversee planning and rebuilding efforts there. The performing-arts center is intended as a cultural nexus for lower Manhattan, attracting tourists and theatergoers alike. Frank Gehry was selected in 2004 as the architect for the building, slated for the corner of Fulton and Greenwich streets. Community leaders and elected officials have called the center a vital component of the 16-acre World Trade Center site. But the arts center has undergone a number of changes and delays over the past dozen or so years. The center’s leaders discarded Mr. Gehry’s design in 2014. And earlier this year, LMDC’s board decided the project’s total cost should be no more than about $200 million for above-grade construction, compared with previous estimates of $350 million to $400 million. In July the LMDC agreed to fund a $500,000 study to see whether the current conceptual design could be modified to fit the new budget parameters. Over the past few months, center officials have been working with consultants and an unnamed architectural firm to revamp the plan. Their latest take envisions a roughly 80,000-square-foot building, rising three to four stories aboveground, where new works of theater, dance, music and digital art would be produced, said the center’s director, Maggie Boepple. About $160 million in federal funding has been allocated for the project thus far. Less than $10 million has been spent on design, engineering and other costs, with the remainder allocated for construction costs, some of which have already been incurred. The site for the performing-arts center is currently occupied by a temporary PATH station entrance that is scheduled to be demolished next year, according to the Port Authority of New York and New Jersey. The center at one point was to have housed a 1,000-seat space for dance presentations by the Joyce Theater, as well as three smaller theaters for the Signature Theatre Company. The Signature Theatre ultimately opted for a different location, in a Gehry-designed home in Midtown. Last year, the performing-arts center announced a revised vision in which it would produce new works and house three theaters of varying size. The Joyce said its current role with the project hasn’t yet been defined. The most recent update proposes a 600- to 700-seat auditorium and a 200-seat theater on the main floor. Both could be flexibly configured or combined into one larger hall. Upstairs, two additional theaters are proposed that could also double as rehearsal studios, though those plans could shift. On the ground floor would be a cafe or restaurant space, yet to be designed. 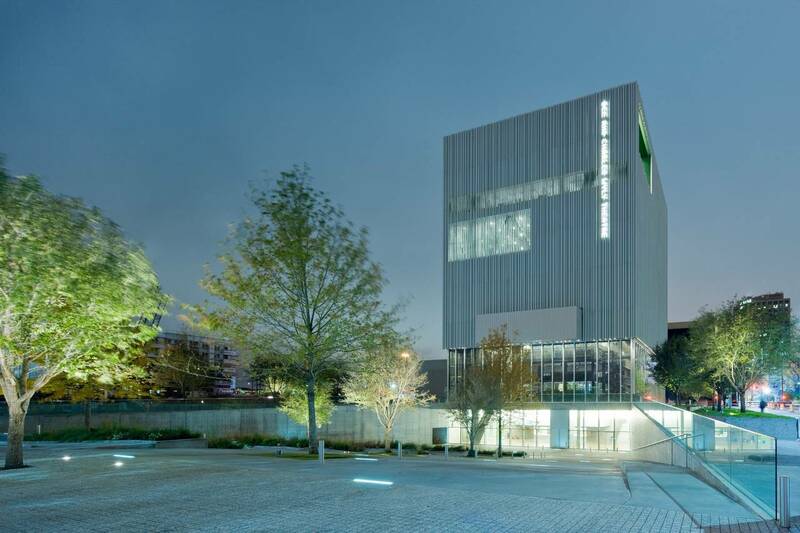 Arts experts have warned that fundraising could be challenging unless the center’s leaders can make a convincing case for why it is needed in a city already rich in cultural venues. Ms. Boepple declined to say how much money the center has raised but said it has already identified a number of potential donors. Its board added new members this year, including Dominic Casserley, chief executive of Willis Group Holdings PLC, and the theater director and choreographer Susan Stroman. Catherine McVay Hughes, chairwoman of Community Board 1, which includes the World Trade Center site, said the center could also restore something that was lost in the Sept. 11 attacks: a gathering place for downtown residents. “Lower Manhattan needs this large cultural anchor that was promised,” she said. Following a dozen years of fits and starts, plans for a performing arts center at the World Trade Center took an important step forward on Thursday with the Lower Manhattan Development Corporation’s approval of funding toward the building’s design. “It’s been promised for a long time and now I’m starting to believe it’s going to happen,” Maggie Boepple, president of the Performing Arts Center (PAC), told the LMDC board before their vote to authorize $10 million for design and engineering services. Boepple said the design team would be announced next week. It has been more than a year since Boepple let it be known that the center had dropped its original architect, Frank Gehry, citing cost concerns. In order to go ahead with the project, the LMDC board had insisted in July that the center be built for no more than $200 million, about half of its originally projected cost. LMDC officials say they are now convinced that is possible and they are willing to commit half of the needed funds. The other half, approximately $100 million, must be raised privately by the center. The building’s design concept is due to be revealed next May, with a more developed schematic design expected in November and final construction documents ready in February 2018. Emil said he did not want to comment on when the building could be completed. The $10 million for design and engineering services, along with $1.57 million already authorized, comes from a $100 million fund that the LMDC is contributing toward the center. Private fundraising for the remaining money is ongoing, though Boepple said it is premature to reveal how far they are from their goal. In an appearance last January before Community Board 1, Lucy Sexton, the PAC’s associate creative director, said the center would feature a wide array of offerings, including theater, dance, music, musical theater and “new” opera. The latest iteration of the performing-arts center at the World Trade Center site is to be designed by a former protégé of Dutch architect Rem Koolhaas. On Friday, the center is expected to announce that REX, a Brooklyn-based firm led by Joshua Prince-Ramus, will lead the project, with the firm Davis Brody Bond as executive architect. Mr. Prince-Ramus’s past work includes the Dee and Charles Wyly Theatre in Dallas and the Seattle Central Library. REX is currently working on the $200 million overhaul of 5 Manhattan West, a ziggurat-like building near the site of the Hudson Yards development in Manhattan. His selection marks another step forward for the long-delayed center. Earlier this month, $10 million in federal money was allocated to help fund design and engineering costs for the project. Now envisioned as an 80,000-square-foot building, the center is intended to serve as a cultural anchor for lower Manhattan where new works of theater, dance and music would be produced. Structural and engineering details are still being worked out for the multistory building, slated for a parcel now occupied by a temporary PATH station entrance. 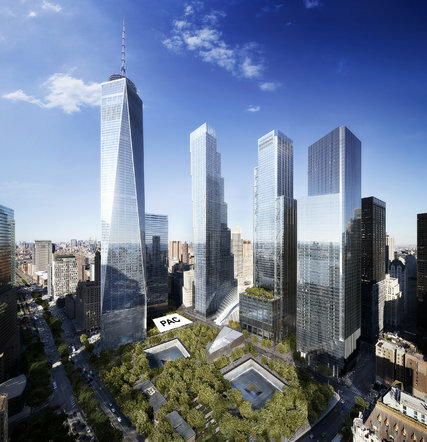 The design will have to accommodate infrastructure such as ventilation systems for underground transit lines and exits for the below-grade World Trade Center site. This version of the performing-arts center would be smaller than prior takes, which at one point included a 1,000-seat theater for dance and three smaller theaters in a building to be designed by Frank Gehry. That concept has since been scrapped, and budget parameters were scaled back to around $200 million for aboveground construction. About half of that would be federally funded, with the balance to come from private fundraising, though the budget could grow if additional money is raised. Such constraints can help clarify a design, said Mr. Prince-Ramus, who was the founding principal of OMA New York, the New York affiliate of Mr. Koolhaas’s studio, which he rebranded as REX in 2006. Less than a year since he stepped down as the chairman of Carnegie Hall after clashing with its staff, Ronald O. Perelman, the billionaire businessman, announced Wednesday that he was donating $75 million to revive plans to build a performing arts center at the World Trade Center site. His donation immediately catapulted the long-stalled performing arts center, one of the last major pieces of unfinished business at the World Trade Center site, from aspirational to achievable and places him among a new generation of power brokers and billionaires who are reshaping — and renaming — the cultural infrastructure of New York. In recognition of his gift, the new theater complex, which will sit on one of the most emotionally resonant and most visited spots in the city, will be named for Mr. Perelman. In the last few years, the city’s wealthy elite have chiseled their names into some of the city’s most iconic cultural institutions — or sought to build their own. The New York Public Library’s main branch on Fifth Avenue has been renamed for Stephen A. Schwarzman, the old New York State Theater for David H. Koch and Avery Fisher (nee Philharmonic) Hall at Lincoln Center for David Geffen. The new Perelman center is also joining several other projects that are being planned, including Culture Shed, a performance space at the Hudson Yards on the West Side, and a new park on Pier 55 near 14th Street with three outdoor spaces underwritten by the billionaire Barry Diller. Some arts executives have questioned whether the city had the audiences and donor base to sustain so many new cultural spaces. But culture has long been envisioned as a key part of the rebuilt World Trade Center and was an important feature of the architect Daniel Libeskind’s 2003 master plan for the site. The performing arts center was placed on the back burner, though, as officials wrangled over the many other thorny issues involved in redevelopment. Groups including the old New York City Opera, the Signature Theater Company and the Joyce Theater all explored anchoring the new complex, but nothing came of it. The architect Frank Gehry was hired to design it, then his design was shelved. The project, which was championed by the Bloomberg administration and eagerly sought by downtown residents, was kept alive through the administrations of four governors and two mayors. The seeds of Mr. Perelman’s involvement were planted a decade ago when Michael R. Bloomberg, who was the mayor, became the chairman of the National September 11 Memorial and Museum to restore confidence in the project, which had gone off track. Mr. Bloomberg recalled in an interview that one of the first donors he turned to was Mr. Perelman, who quickly agreed to donate $5 million to the museum project. Mr. Perelman stayed involved, expressing enthusiasm for the idea of a performing arts center at the site, and, as the project finally took shape recently, he agreed to make the lead gift. The backers of the new Perelman center downtown see it as filling an important niche for a midsize theater that can accommodate the kinds of multidisciplinary works many artists experiment with today. The complex, which is being designed by REX, a Brooklyn-based architecture firm, is to include three flexible, technologically advanced theaters that can individually seat 499 people, 299 people and 100 people, and which can be combined into one space that can accommodate 1,200. The plan calls for the center to present or produce dance, concerts, new or early chamber opera, and theater, and to become the main venue of the Tribeca Film Festival each April. The performance plans have yet to come fully into focus: David Lan, the artistic director at the Young Vic in London, did a stint as its temporary artistic director, and Jenny Gersten, a former executive director of Friends of the High Line and artistic director of the Williamstown Theater Festival in Massachusetts, is a producing consultant. But the presence of Mr. Perelman, a hard-charging businessman who is known to favor a hands-on approach with groups that he supports, suggests that there will be a powerful, wealthy patron pushing for it to succeed. Mr. Perelman left Carnegie after spending less than a year as its chairman after clashing with its staff and other board members — and before making an additional donation to the hall that had been expected to be in the $30 million range. He said in the interview that his support of the new performing arts center was unrelated to his departure from Carnegie and that he probably would have made the donation to support the new complex in any case. With Mr. Perelman’s donation, the project is now well on its way to covering its estimated $240 million price tag, said Maggie Boepple, the center’s president and director. The Lower Manhattan Development Corporation committed $100 million in federal funds awarded after the Sept. 11 attacks for the project’s design, construction and administrative costs. 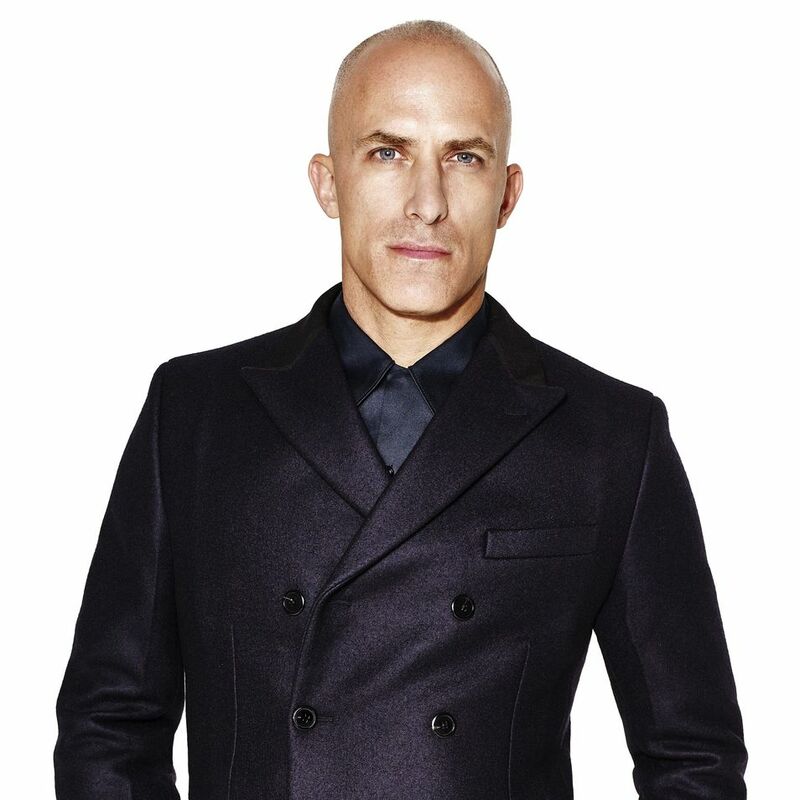 Mr. Perelman, who raised eyebrows with his call to stage more pop music at Carnegie Hall, said that he envisioned attracting a wide variety of artists. “I would hope it is the first venue of choice for the Bruce Springsteens and the Bon Jovis and the Yo-Yo Mas and the Lang Langs, and at the same time it’s a place where we could have produced a “Hamilton” project or where we could produce a new ballet,” he said. He added that he was excited by the technological possibilities of the plans, which call for adding cutting-edge streaming capabilities that will allow the center to capture and disseminate performances in a much more immersive, sophisticated way than is done at most theaters. Mr. Perelman said that he had been particularly taken by the designs of the architect, Joshua Prince-Ramus, who was formerly a partner of Rem Koolhaas, and recalled a recent meeting in which they went over the renderings of the complex, which have not yet been publicly released, and then discussed the technological possibilities with Nicholas Negroponte, a founder of the MIT Media Lab, who had been visiting Mr. Perelman on other business. LONG-DELAYED plans to build a performing arts center at the World Trade Center site moved forward on Thursday when officials unveiled a new design for the building and announced that Barbra Streisand had been elected chairwoman of the board. 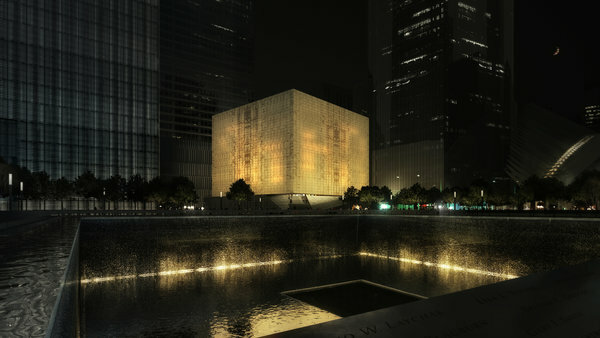 A performing arts center was an important feature of the architect Daniel Libeskind’s 2003 master plan for the site’s redevelopment, but that element languished, becoming one of the last big pieces of unfinished business in rebuilding the World Trade Center after the attacks of Sept. 11, 2001. 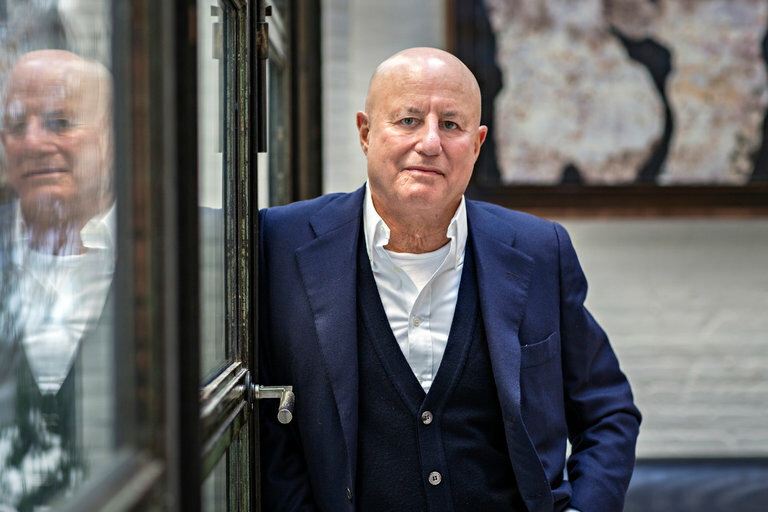 Then the project was revived in June with a $75 million donation from Ronald O. Perelman, the billionaire businessman. Now, just before the 15th anniversary of the attacks, plans for the complex, to be called the Ronald O. Perelman Performing Arts Center at the World Trade Center, are taking new shape. The New York architecture firm REX, selected after a more elaborate plan by Frank Gehry was shelved, has released its conceptual design. Its proposal contains three small theaters that can be combined in various configurations to produce and stage theater, dance, music, opera and experimental works, and can serve as a space for the Tribeca Film Festival each spring. The delicate balance needed to build a vibrant theater complex next to a somber memorial will be reflected in the unusual exterior of the cube-shaped 90,000-square-foot building. The Perelman Center is to be wrapped in thin sheets of translucent white marble encased in glass, giving it a solemn look in daylight but an amber glow from within at night. The building is estimated to cost $243 million, said Maggie Boepple, the center’s president and director. In addition to Mr. Perelman’s gift, the Lower Manhattan Development Corporation has committed $100 million in federal funds. Ms. Boepple said that a new round of fund-raising was being started for the center, which aims to open in 2020. Mr. Prince-Ramus said that translucent marble had been used at the Beinecke Rare Book & Manuscript Library at Yale University and at a church in Switzerland. But he said that his plan called for using much thinner slices of the marble — he hopes to get it from the same Vermont quarry used for the United States Supreme Court building and the Thomas Jefferson Memorial — which would infuse the inside of the building with natural light by day and give a porous sense to the exterior by night. While earlier plans called for having a big cultural institution as an anchor tenant — groups discussed included the old New York City Opera, the Signature Theater Company and the Joyce Theater — current plans call for the center to work with other companies to produce and present work in its three theaters, which can individually seat 499, 250 and 99 people, but which can be combined into one theater that can seat 1,200. The World Trade Center Performing Arts Center has long been embraced as a concept. But for years, it was little more than an idea, plagued (like so many of the developments at the WTC site) by uncertainty and false starts. That changed this morning when, on the 10th floor of 7 World Trade Center in a room overlooking the reflecting pools of the 9/11 Memorial, developer Larry Silverstein joined World Trade Center master planner Daniel Libeskind, architect Joshua Prince-Ramus, and the center’s President and Director Maggie Boepple to unveil the Performing Arts Center's final design, finally giving vision to the last unknown at the epochal site. Brooklyn-based firm REX was chosen as the center’s architect in November 2015 following a rigorous design competition. "When Joshua [Prince-Ramus] brought out the model at his studio in Brooklyn," Boepple recalled of visiting the finalists, "I had to turn to the wall because I knew we found our architect." REX’s vision is a complete departure from the site’s earlier design by Frank Gehry. It is at once new yet familiar, contemporary yet classic. Perhaps unintentionally, the marble structure speaks to its travertine forebears at Lincoln Center while also, in its shape, resembling the void of the nearby reflecting pools. "This is a building that is dedicated to the production and premiering of unique, original pieces of art. It is also a very important piece of new civic infrastructure for lower Manhattan and both of these come with an incredible amount of vitality and energy," Prince-Ramus said before unveiling the design. "We must figure out an appropriate way for this energy to exist directly adjacent to the single most important memorial on US soil." For the team at REX, that was by designing a simple and pure form. The Perelman, as the center will be known following a $75 million charitable donation from billionaire Ronald Perelman, will take the form of a slightly off-center box—Prince-Ramus admits this is because of below-grade constraints—whose dominant facade material will be a marble cut so thin it’s translucent. The quarry REX proposes to cull from is the same quarry that gave shape to the Supreme Court building and the Thomas Jefferson Memorial. It isn’t just a pleasant concept; it’s a concept that instantly fixes the Performing Arts Center as a national treasure. The marble will be laminated between two pieces of glass that are then insulated, protecting the building and creating an energy efficient seal. The facade will allow light in during the day and out in the evening. Despite its lack of windows, the movement of light through the facade will break the idea of theater as hermetic box. Blackout shades will be at the ready throughout the building, but won’t be fixed in place. Not much in the building will be fixed in place, least of which will be the configuration of its theaters. Boepple says The Perelman will have "untold capabilities" owing to its flexible spaces, shaped by a series of movable walls. REX teamed with Charcoalblue to imagine the vast potential of the space; the production level’s three performance spaces and seven movable acoustic walls will allow for 11 different configurations that will house everything from intimate shows sans microphones to rock concerts attended by 1,200 people. "The more people use the building, while we hope that they will take it as their own, the more they will simply not understand how all of these varied experiences can be happening within one single structure," Prince-Ramos said. Perelman indicated as much, saying "I think it’s going to become the iconic performing arts center in the world." Barbra Streisand will serve as The Perelman’s chairman. Of the $250 million needed to construct the building, $175 million has already been raised: $75 million through Perelman, and $100 million through the Lower Manhattan Development Corporation, using federal funds provided after September 11. The difference will be raised through private donations. No funds for the project will come directly from the city or state. It’s an ambitious project all around, and one that’s timed to the area’s changing status as a neighborhood that’s not merely for office workers, but also for the recent influx of residents and tourists. "I recognize how far we’ve come in the past 15 years and the transformation downtown is really sort of remarkable," Larry Silverstein said, "I remember what this was like before 9/11 and on a weekend you could role a bowling ball down the middle of Wall Street...It’s more attractive than it’s ever been before." The theater is expected to open in 2020. I think we can all agree that if the rendering is a box and a designer is on the wait list, then we should be pretty convinced that the end result will be a box. 1WTC? Rendered as an elaborate building with an elongated living spire, shaved back to a hollow, wind turbine top with a glass spire, and shaved back again due to concerns by the NYPD. Love the end product though, even after the extensive shaving. 2WTC? Rendered as a box, became a tiered box. 3WTC? Had curves, trusses, braces, ended being a shaved sown, trussed and tiered box. 4WTC kept it real since the beginning. A translucent box, though. 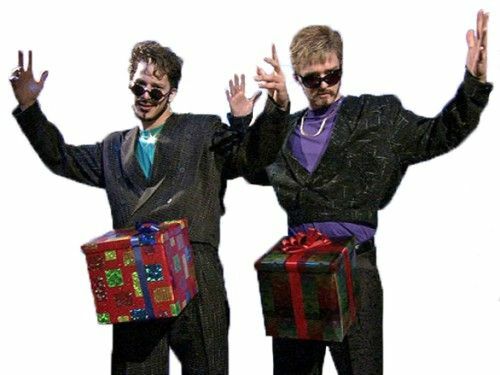 Which is more than we can say for the other box. of vitality and energy," Prince-Ramus said before unveiling the design. Unique? Original?!?! Can "REX" please be more subtle about insulting our collective intelligences. Innovation in most NYC architecture is no longer. Another mind-numbing design; just a low rise version of 432 Park.... just plop up something that is inexpensive and easy. At least we have the WTC hub to remind us what innovative architecture looks like..... Next to this you can tell who is an architect (Calatrava) and who's just a developer-enabling profiteer (REX) that semblances as an architect. So long as its cheap, right Low End Larry?